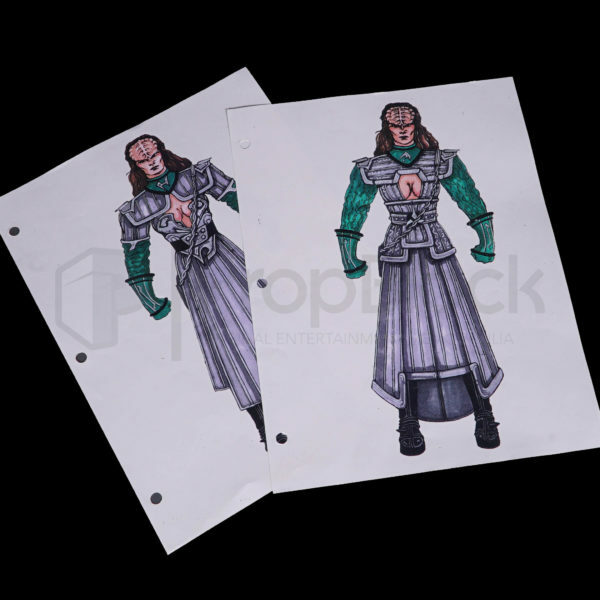 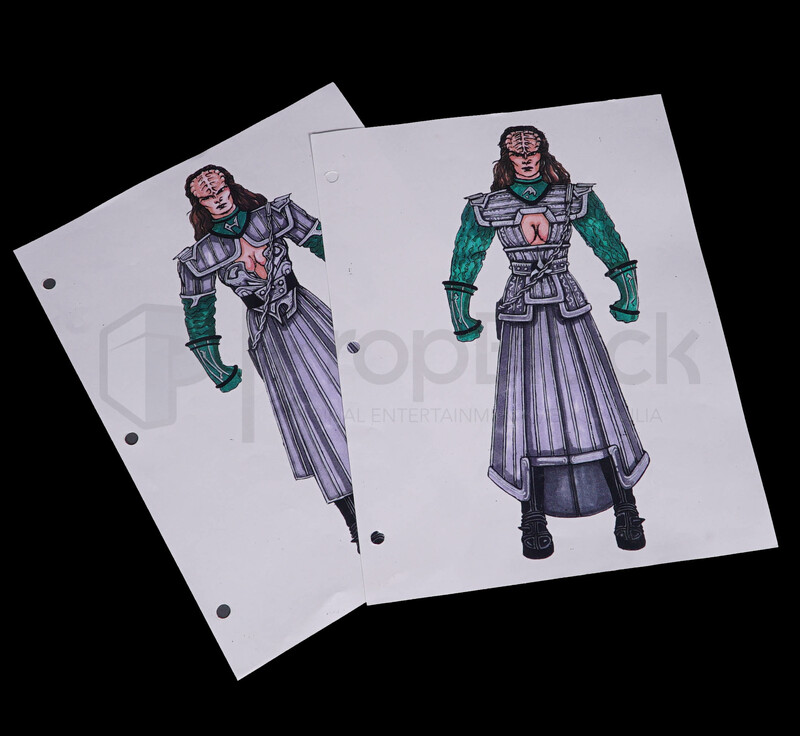 Original concept designs for the characters of Lursa & B’Etor, the Klingon sisters who were the main villains in the motion picture Star Trek: Generations. 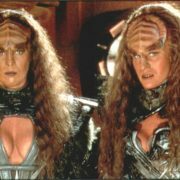 The sisters were members of the “House of Duras” and were featured earlier on in Star Trek: The Next Generation. 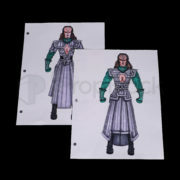 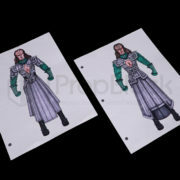 These two piece are printed in black ink and hand colored by award winning costume designer Robert Blackman, who designed these uniforms for the film. 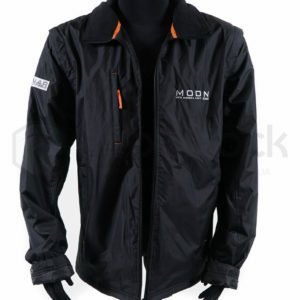 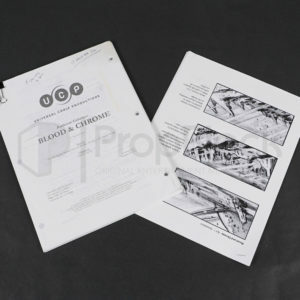 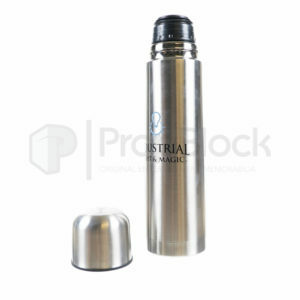 Each item measures 8.5″ x 11″ and remains in excellent, production used condition.